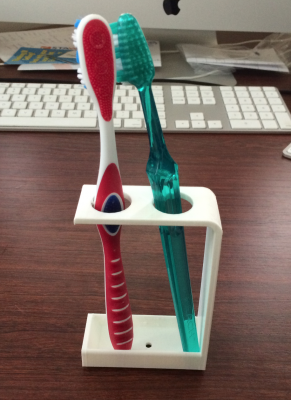 I found that a simple toothbrush holder wasn't available on online so I made one. Most holders out there are made for 4 and upwards or are made for single brushes that clip around the head of the brush that I find a bit unhygienic. 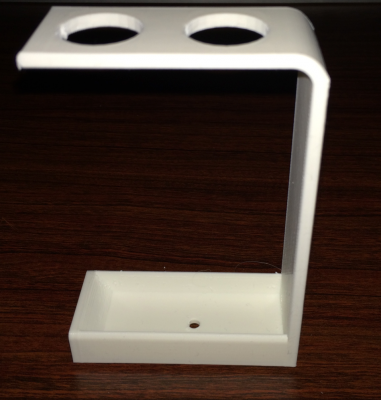 Mine is simple and elegant, ski file are there to edit if you wish or the stl that I printed is there, for best result print the holder on it's 'back' with a raft so it ends up being nice and straight. You are SO right about your unhygienic observation...nice work on this sleek and hygienic 3D model solution!